My brothers, Clendon and Horace, rowed out to the Island in the middle of the lake and came back with a deer fawn. The doe had twins, and they said she abandoned one of them… We named her “Baby” and we raised her on a bottle. We had a permit from the Game Warden to keep her. She ran free, and if we called her name she would come running. 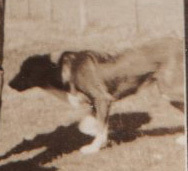 We also had a dog named Whuskey- named after one in a book that my mom read. Also a cat, named Kitty. Around this time the doctor had said that my father needed to drink goat’s milk… it’s richer than ordinary cow’s milk…A neighbour, Billl Beatty, loaned us a goat­, and because I had the smallest hands, I got the job of milking it twice a day. I would often go out riding on Barney Google _ out across a field, and trailing behind me… the deer, the dog, the goat and the cat! Whusky and the deer played together, running off, and then, with one jump, the deer would change directions, The dog had to skid to a stop and then turn around! In 1933 or 34, The Dad’s Cookie company put out four little song books with the words to all the Western songs. If you bought their cookies, you would get one of their song books free! One of my mom’s friends in Vancouver collected those song books and sent them for me. I learned them all and would ride along on my horse, singing loudly. No one around so it didn’t matter how loud I sang. My family had another chance to laugh at me! Wonderful times, Norma. I love the name of the dog – it seems so fitting. Marvelous pictures from the past, too! Yes, they were wonderful times, and we didn’t have any money!I just poured your tea, don’t let it get cold, Heather! Thanks for coming by and for your comment. Hi NOrma. Thanks for stopping byl and for your comments. I do appreciate your visits. Tea is ready… so I’ll pour some for us. It was quite a parade, I can assure you… with music! Tea is ready Carol, you are just in time. Thanks for your visit and your comment. 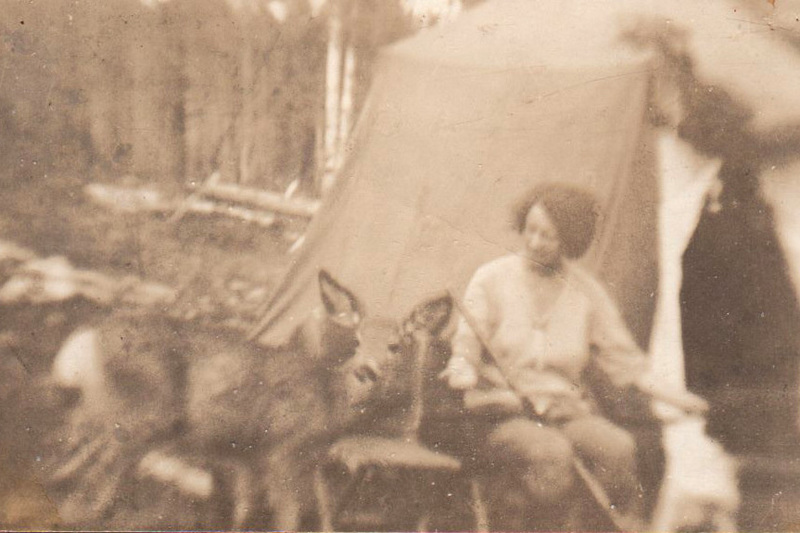 Another wonderful story Norma and how many kids can say they had a pet deer.I can just imagine you singing on your horse and the other animals trailing behind like the Pied Piper.Have a lovely evening! Keep shining! Welcome, Dianne. You are in time for tea… thanks for your visit and comment.